Book Covers View. Please Confirm Price at Amazon BEFORE buying. Free at 4:10 pm EST. Free Book Blogs – Apple, Kindle, Nook, Kobo, Free Books in Return for Reviews. Authors, Promote Your Book to 4.1 Million Readers. Become A Bestselling Author. ***Rush by Emma Scott. Price: Free. Genre: Contemporary Romance of the Day, Coming of Age, New Adult & College. Rated: 4.8 stars on 189 Reviews. 304 pages. ASIN: B00WQI3STE. ***Make Me Forget (It’s Kind Of Personal Book 1) by Anna Brooks. Price: Free. Genre: 18+ Romance of the Day, Sponsor. Rated: 4.5 stars on 147 Reviews. 291 pages. ASIN: B00P5UO434. **Illicit Temptations (Tempted Series Book 1) by Janine Infante Bosco. Price: Free. Genre: Contemporary Romance of the Day, Romantic Suspense. Rated: 4.4 stars on 82 Reviews. 289 pages. ASIN: B012JUAWWE. *Bad Magic by Christine Pope. Price: Free. Genre: Paranormal Romance Box Set of the Day, Vampires, Fantasy. Rated: 4.5 stars on 17 Reviews. 200 pages. ASIN: B06XX3QQ6Y. ***The Earl’s New Identity (The Regency Renegades Series 1 – Beauty and Titles) (Deal, Not Free) by Jasmine Ashford. Price: $0.99. Genre: Christian Historical Romance Deal of the Day, Sponsor, Regency Historical Romance. Rated: 4.5 stars on 122 Reviews. 120 pages. ASIN: B06ZY2KKKJ. *A Beat in Time (Deal, Not Free) by Sandrine Gasq-Dion. Price: $0.99. Genre: 18+ Rock Star Romance Deal of the Day, Sponsor, 18+ Firefighter Romance. Rated: 4.5 stars on 22 Reviews. 165 pages. ASIN: B018MJ0V3G. *Inferno Falls Trilogy (Books 1-3) by Aubrey Parker. Price: Free. Genre: Contemporary Romance Box Set Trilogy of the Day, Coming of Age, New Adult & College. Rated: 5 stars on 12 Reviews. 718 pages. ASIN: B01N2OR24Q. *With Ties That Bind: A Broken Bonds Novel, Book One (Deal, Not Free) by Trisha Wolfe. Price: $0.99. Genre: Adult Romance Deal of the Day, Sponsor, Dark Romance. Rated: 4.7 stars on 31 Reviews. 160 pages. ASIN: B01C9JT2H6. *Tuesday’s Caddie by Jack Waddell. Price: Free. Genre: Historical Romance of the Day, Sports. Rated: 4.6 stars on 41 Reviews. 307 pages. ASIN: B009F0LFRI. *Shame-Proof Parenting: Find your unique parenting voice, feel empowered, and raise whole, healthy children (Deal, Not Free) by Mercedes Samudio. Price: $0.99. Genre: Nonfiction Deal of the Day, Sponsor, Parenting & Relationship, Raise Healthy Children. Rated: 5 stars on 22 Reviews. 191 pages. ASIN: B071D4YXMT. *The Great Impersonation by E. Phillips Oppenheim. Price: Free. Genre: Espionage Thriller of the Day, International Mystery & Crime. Rated: 4.3 stars on 35 Reviews. 200 pages. ASIN: B0716FC87Y. *INCOGNOLIO by MICHAEL SUSSMAN. Price is: Free. Genre is: Psychological Thriller of the Day, Sponsor. Rated: 5 stars on 1 Reviews. 100 pages. If you like it nominate it, if it wins you’ll get one free. *The Christmas Special by David Hearne, Jon VanZile. Price: Free. Genre: Suspense of the Day, Contemporary Fiction. Rated: 5 stars on 7 Reviews. 690 pages. ASIN: B00JDLG11E. *Of Brine & Blood (Brine Series Book 1) by B. Longino Smith. Price: Free. Genre: Medieval Historical Romance of the Day, Sponsor, Pirate Romance. Rated: 4.7 stars on 9 Reviews. 388 pages. ASIN: B01EBJ2ZYY. *I GET YOU: How communication can change your destination (Deal, Not Free) by Warren Tate. Price: $0.99. Genre: Business & Money Book Deal of the Day, Sponsor, Excellent Book Communication, Marketing, Telemarketing, Real Estate. Rated: 5 stars on 15 Reviews. 117 pages. ASIN: B071DJ38TR. *Cusp of Crazy (Repeat) by Vicki Graybosch. Price: Free. Genre: Cozy Mystery of the Day, Police Procedurals. Rated: 4.8 stars on 31 Reviews. 189 pages. ASIN: B00MOO2EPY. *Wined, Dined and Dead by Stacey Alabaster. Price: Free. Genre: Cozy Mystery of the Day, Amateur Sleuths, Culinary. Rated: 4.4 stars on 41 Reviews. 125 pages. ASIN: B01N4VR3EZ. *Shadowlith (Umbral Blade Book 1) (Deal, Not Free) by Stuart Thaman. Price: $0.99. Genre: Epic Fantasy Deal of the Day, Sponsor, Coming of Age, Sword & Sorcery. Rated: 5 stars on 1 Reviews. 284 pages. ASIN: B071XXKWNJ. **Because of the Rain by Deborah Raney. Price: Free. Genre: Christian Books of the Day, Religious & Inspirational Fiction. Rated: 4.7 stars on 65 Reviews. 237 pages. ASIN: B019VU4JII. *Lightning Blade (Ruby Callaway Book 1) by D.N. Erikson. Price: Free. Genre: Occult Horror of the Day, Sponsor, Dark Fantasy. Rated: 4.6 stars on 23 Reviews. 143 pages. ASIN: B01MYAKKIU. *The Tea Cleanse: A Tasty and Easy Method for Healthy Weight Loss (Deal, Not Free) by Ceceli Abernathy. Price: $0.99. Genre: Health & Fitness Book Deal of the Day, Sponsor, Healthy Weight Loss, Nonfiction. Rated: 4.8 stars on 7 Reviews. 32 pages. ASIN: B01M2YIFVD. *Superbeetle (Deal, Not Free) by S. Michele Chen. Price: $0.99. Genre: Children’s Book Deal of the Day, Sponsor, Superbeetle. Rated: 5 stars on 1 Reviews. 58 pages. ASIN: B01MUOLVE4. **Maroon Rising (Buck Reilly Adventure Series Book 5) by John H. Cunningham. Price: Free. Genre: Historical Thriller of the Day, Sponsor, Crime Thriller, Mystery. Rated: 4.8 stars on 90 Reviews. 292 pages. ASIN: B016QUC76C. *Islam Culture: A Guide For Non-Muslims (Islam, Muslim, Middle east, Arab, Western Culture, refugee,) by Rene De Sonce. Price: Free. Genre: Nonfiction of the Day, Sponsor, Religion & Spirituality, Islam Culture, Social Etiquette. Rated: 5 stars on 1 Reviews. 93 pages. ASIN: B06Y5T39MK. ***Make Me Forget (It’s Kind Of Personal Book 1) by Anna Brooks. Price: Free. Genre: 18+ Romance, Sponsor. Rated: 4.5 stars on 147 Reviews. 291 pages. ASIN: B00P5UO434. ***THRONE OF NOVOXOS: VAN LAVEN CHRONICLES by Tyler Chase. Price: Free. Genre: Romance, Sponsor. Rated: 4.5 stars on 159 Reviews. 410 pages. ASIN: B00M9QVKWU. ***Rush by Emma Scott. Price: Free. Genre: Contemporary Romance, Coming of Age, New Adult & College. Rated: 4.8 stars on 189 Reviews. 304 pages. ASIN: B00WQI3STE. *A Beat in Time (Deal, Not Free) by Sandrine Gasq-Dion. Price: $0.99. Genre: 18+ Rock Star Romance Deal, Sponsor, 18+ Firefighter Romance. Rated: 4.5 stars on 22 Reviews. 165 pages. ASIN: B018MJ0V3G. **Illicit Temptations (Tempted Series Book 1) by Janine Infante Bosco. Price: Free. Genre: Contemporary Romance, Romantic Suspense. Rated: 4.4 stars on 82 Reviews. 289 pages. ASIN: B012JUAWWE. *Plain Crazy (Deal, Not Free) by Dani Jo Love. Price: $0.99. Genre: Adult Romance Deal, Sponsor, Contemporary Romance. Rated: 4.7 stars on 9 Reviews. 227 pages. ASIN: B06XCK4KBL. *With Ties That Bind: A Broken Bonds Novel, Book One (Deal, Not Free) by Trisha Wolfe. Price: $0.99. Genre: Adult Romance Deal, Sponsor, Dark Romance. Rated: 4.7 stars on 31 Reviews. 160 pages. ASIN: B01C9JT2H6. *Bad Magic by Christine Pope. Price: Free. Genre: Paranormal Romance Box Set, Vampires, Fantasy. Rated: 4.5 stars on 17 Reviews. 200 pages. ASIN: B06XX3QQ6Y. *Inferno Falls Trilogy (Books 1-3) by Aubrey Parker. Price: Free. Genre: Contemporary Romance Box Set, Coming of Age, New Adult & College. Rated: 5 stars on 12 Reviews. 718 pages. ASIN: B01N2OR24Q. **Shopping for a CEO’s Wife (Shopping for a Billionaire Book 12) (Deal, Not Free) by Julia Kent. Price: $3.99. Genre: Contemporary Romance Deal, Sponsor, NY Times Bestselling Author, Romantic Comedy. Rated: 4.8 stars on 69 Reviews. 284 pages. ASIN: B01NH9LRL4. NY Times & USA Today Bestselling Author Julia Kent. *Never Is A Very Long Time: A Romantic Comedy With Attitude (The Perfect Date Book 1) (Deal, Not Free) by Donna McDonald. Price: $2.99. Genre: Contemporary Romance Deal, Sponsor, Inspirational Romance. Rated: 4.9 stars 26 Reviews. 171 pages. ASIN: B06Y16CN4B. *(Free For Kindle Unlimited) Stretch Limo Confessions: Let’s Get This Party Started (Book 1) (Deal, Not Free) by Mike Jacobs. Price: $2.99. Genre: 18+ Romance Book Deal, Sponsor, Adult Content. Rated: 4 stars on 8 Reviews. 130 pages. ASIN: B01MRZIZW2. *Of Brine & Blood (Brine Series Book 1) by B. Longino Smith. Price: Free. Genre: Medieval Historical Romance, Sponsor, Pirate Romance. Rated: 4.7 stars on 9 Reviews. 388 pages. ASIN: B01EBJ2ZYY. *The Summer Diary (Deal, Not Free) by Elyse Douglas. Price: $0.99. Genre: Romance Deal, Sponsor. Rated: 4.3 stars on 24 Reviews. 287 pages. ASIN: B00XCD9ZW6. The Bargain by Jackie Smith. Price: Free. Genre: Literary Romance, Western. Rated: 4 stars on 13 Reviews. 377 pages. ASIN: B01M66TQ2B. Tracks by Moira Kay. Price: Free. Genre: Military, Dystopian. Rated: 4.8 stars on 8 Reviews. 405 pages. ASIN: B01MG3D8L2. These Lies She Tells by C.L. Perry. Price: Free. Genre: Contemporary Romance, New Adult & College. Rated: 4.6 stars on 6 Reviews. 299 pages. ASIN: B071YMSGLT. Time for Honesty (The Solvik Series Book 1) by Mette Barfelt. Price: Free. Genre: Clean & Wholesome Romance, Contemporary Romance, Women’s Fiction Romance. Rated: 4.6 stars on 5 Reviews. 200 pages. ASIN: B071NJWNB9. Derailed (Tracks Book 2) by Moira Kay. Price: Free. Genre: Military Romance, New Adult & College, Dystopian. Rated: 4.7 stars on 4 Reviews. 450 pages. ASIN: B01N976OHT. *Tuesday’s Caddie (Repeat) by Jack Waddell. Price: Free. Genre: Historical Romance, Sports. Rated: 4.6 stars on 41 Reviews. 307 pages. ASIN: B009F0LFRI. *Hologram: The Provocation of Detective Brooks (Deal, Not Free) by Nancy Miller. Price: $0.99. Genre: Adult Mystery Deal, Sponsor, Murder. Rated: 4.4 stars on 6 Reviews. 295 pages. ASIN: B013HHGP88. *With Ties That Bind: A Broken Bonds Novel, Book One (Deal, Not Free) by Trisha Wolfe. Price: $0.99. Genre: Adult Thriller Deal, Sponsor, Dark Thriller. Rated: 4.7 stars on 31 Reviews. 160 pages. ASIN: B01C9JT2H6. *The Great Impersonation by E. Phillips Oppenheim. Price: Free. Genre: Espionage Thriller, International Mystery & Crime. Rated: 4.3 stars on 35 Reviews. 200 pages. ASIN: B0716FC87Y. *The hound of Christopher (Deal, Not Free) by Roland Odinkemelu. Price: $7.99. Genre: Assassination Thriller Deal, Sponsor, Murder, Crime Thriller, Conspiracy, Organized Crime. Rated: 5 stars 1 Reviews. 336 pages. ASIN: B06X6M5PD1. Free for Kindle Unlimited. *INCOGNOLIO by MICHAEL SUSSMAN. Price is: Free. Genre is: Psychological Thriller, Sponsor. Rated: 5 stars on 1 Reviews. 100 pages. If you like it nominate it, if it wins you’ll get one free. *Hologram: The Seduction of Samantha Bowman by Nancy Miller. Price: Free. Genre: Adult Crime Thriller, Sponsor, Suspense, Mystery. Rated: 4.3 stars on 57 Reviews. 306 pages. ASIN: B00D9WCNTW. *Decimation: The Girl Who Survived (Deal, Not Free) by Richard T. Burke. Price: $0.99. Genre: Medical Thriller Deal, Sponsor, SciFi Thriller. Rated: 4.6 stars on 24 Reviews. 296 pages. ASIN: B06XKTGS5N. **Maroon Rising (Buck Reilly Adventure Series Book 5) by John H. Cunningham. Price: Free. Genre: Historical Thriller, Sponsor, Crime Thriller, Mystery. Rated: 4.8 stars on 90 Reviews. 292 pages. ASIN: B016QUC76C. *STOCKHOLM RANSOM by S. K. Vall. Price: Free. Genre: 18+ Suspense, Sponsor. Rated: 5 stars on 1 Reviews. 344 pages. ASIN: B06ZZ9MCQS. The False Faces (Lone Wolf Book 2) by Louis Joseph Vance, Otto Penzler. Price: Free. Genre: Suspense, Classics, Thrillers. Rated: 5 stars on 4 Reviews. 268 pages. ASIN: B00K5EBEVA. *Cusp of Crazy (Repeat) by Vicki Graybosch. Price: Free. Genre: Cozy Mystery, Police Procedurals. Rated: 4.8 stars on 31 Reviews. 189 pages. ASIN: B00MOO2EPY. *An Empty Tree (Blue Eyes Book 1) (Repeat) by Glenn Trust. Price: Free. Genre: Crime Thriller, Murder, Suspense. Rated: 4.8 stars on 15 Reviews. 162 pages. ASIN: B00F80DNVK. *Wined, Dined and Dead by Stacey Alabaster. Price: Free. Genre: Cozy Mystery, Amateur Sleuths, Culinary. Rated: 4.4 stars on 41 Reviews. 125 pages. ASIN: B01N4VR3EZ. ***The Earl’s New Identity (The Regency Renegades Series 1 – Beauty and Titles) (Deal, Not Free) by Jasmine Ashford. Price: $0.99. Genre: Christian Historical Romance Deal, Sponsor, Regency Historical Romance. Rated: 4.5 stars on 122 Reviews. 120 pages. ASIN: B06ZY2KKKJ. **Because of the Rain by Deborah Raney. Price: Free. Genre: Christian Books, Religious & Inspirational Fiction. Rated: 4.7 stars on 65 Reviews. 237 pages. ASIN: B019VU4JII. The Invitation (Kinsman Book 1) by Joyce Swann. Price: Free. Genre: Christian Fiction, Holidays. Rated: 4.5 stars on 5 Reviews. 190 pages. ASIN: B01N1VC9JW. *Crafting the Sun (Deal, Not Free) by Sophia J. H. Teh. Price: $2.99. Genre: Science Fiction Deal, Sponsor, Brilliant Roboticist Crafting the Perfect Robot Son, 2291. Rated: 4.6 stars on 6 Reviews. 916 pages. ASIN: B01H1QH652. *The Saga of the Second Human Race (Trin-Intel Book 1) by Dax Kelvin. Price: Free. Genre: Science Fiction, Time Travel, Space Opera. Rated: 5 stars on 5 Reviews. 366 pages. ASIN: B01K1DOV32. **Cold Trap (Deal, Not Free) by Jon Waskan. Price: $0.99. Genre: Science Fiction Deal, Sponsor, Space Exploration. Rated: 4.5 stars on 57 Reviews. 353 pages. ASIN: B00LETVKWS. If you like Space movies, you’ll love this book. The Jones by Jacob Whaler. Price: Free. Genre: Cyberpunk Science Fiction, Metaphysical & Visionary Science Fiction, Science Fiction. Rated: 4.7 stars on 4 Reviews. 200 pages. ASIN: B06XQ5R4Z3. *Magic Reborn: The Peacesmith Series: Book1, A New Adult Urban Fantasy Novel (Deal, Not Free) by Carly Hansen. Price: $0.99. Genre: Fantasy Deal, Sponsor, Fairy Tales, Mythology, Myths & Legend. Rated: 4.4 stars on 18 Reviews. 284 pages. ASIN: B01MUFIW3F. *Wisconsin Vamp (Monsters in the Midwest Book 1) (Repeat) by Scott Burtness. Price: Free. Genre: Paranormal & Urban. Rated: 4.1 stars on 78 Reviews. 350 pages. ASIN: B00HXO0WQI. *Taken by Storm (The Taken Book 1) (Deal, Not Free) by Anna Argent. Price: $2.99. Genre: Adult Paranormal Fantasy Deal, Sponsor, Adult Fantasy. Rated: 4.7 stars on 11 Reviews. 291 pages. ASIN: B01HW1LWL0. *Shadowlith (Umbral Blade Book 1) (Deal, Not Free) by Stuart Thaman. Price: $0.99. Genre: Epic Fantasy Deal, Sponsor, Coming of Age, Sword & Sorcery. Rated: 5 stars on 1 Reviews. 284 pages. ASIN: B071XXKWNJ. *Lightning Blade (Ruby Callaway Book 1) by D.N. Erikson. Price: Free. Genre: Fantasy, Sponsor, Dark Fantasy. Rated: 4.6 stars on 23 Reviews. 143 pages. ASIN: B01MYAKKIU. *Lightning Blade (Ruby Callaway Book 1) by D.N. Erikson. Price: Free. Genre: Occult Horror, Sponsor, Dark Horror. Rated: 4.6 stars on 23 Reviews. 143 pages. ASIN: B01MYAKKIU. *Shatterbones by Robert Brown. Price: Free. Genre: Horror, Post-Apocalyptic. Rated: 5 stars on 5 Reviews. 258 pages. ASIN: B06VWYSN5W. ***The Earl’s New Identity (The Regency Renegades Series 1 – Beauty and Titles) (Deal, Not Free) by Jasmine Ashford. Price: $0.99. Genre: Christian Historical Romance Deal, Sponsor. Rated: 4.5 stars on 122 Reviews. 120 pages. ASIN: B06ZY2KKKJ. *Hell Comes to Dixie by W.R. Benton. Price: Free. Genre: Historical Fiction, War, Military. Rated: 4.8 stars on 10 Reviews. 244 pages. ASIN: B00JAQGGP8. *Granite Alley by Elliot Essman. Price: Free. Genre: YA Contemporary Romance, Sponsor, Coming of Age. Rated: 5 stars on 4 Reviews. 156 pages. ASIN: B01N6U2EUP. *The Very Thought of You (Stevens Island Book 8) by Sarah Bates. Price: Free. Genre: YA Romance, Contemporary. Rated: 5 stars on 6 Reviews.252 pages. ASIN: B00C0YJEVU. *Skylar Robbins: The Mystery of the Missing Heiress (Skylar Robbins mysteries) (Volume 3) (Deal, Not Free) by Carrie Cross. Price: $11.99. Genre: YA Mystery Deal, Sponsor, Middle Grade. Rated: 4.6 stars 3 Reviews. 110 pages. ASIN: 0989414345. *Fledgling: Book 1 (Afterlife) (Deal, Not Free) by Katrina Cope. Price: $0.99. Genre: YA Thriller Deal, Sponsor, Suspense Thriller. Rated: 4.3 stars on 39 Reviews. 318 pages. ASIN: B00XEPYDRY. ***Matt Archer: Monster Hunter (Matt Archer #1) by Kendra C. Highley. Price: Free. Genre: YA Paranormal Suspense, Sponsor, Monster. Rated: 4.5 stars on 125 Reviews. 297 pages. ASIN: B008ZFFZPC. *Superbeetle (Deal, Not Free) by S. Michele Chen. Price: $0.99. Genre: Children’s Book Deal, Sponsor, Superbeetle. Rated: 5 stars on 1 Reviews. 58 pages. ASIN: B01MUOLVE4. Salem’s Secret (Rebecca Brown Series Book 1) by Richard Munson. Price: Free. Genre: Children’s Books, Sword & Sorcery, Fantasy & Magic. Rated: 5 stars on 4 Reviews. 244 pages. ASIN: B00TXVDLJ4. Caos absoluto (Spanish Edition) by Armando Rodera. Price: Free. Genre: Spanish, Science Fiction. Rated: 4.3 stars on 19 Reviews. 338 pages. ASIN: B00F2OTX2U. ***THRONE OF NOVOXOS: VAN LAVEN CHRONICLES by Tyler Chase. Price: Free. Genre: Romantic Adventure, Sponsor, Adventure. Rated: 4.5 stars on 159 Reviews. 410 pages. ASIN: B00M9QVKWU. *Warpworld by Kristene Perron, Joshua Simpson. Price: Free. Genre: SciFi Adventure, Sponsor, Space Exploration. Rated: 4.5 stars on 31 Reviews. 506 pages. ASIN: B009QRXHXK. ***Heart of Darkness by Joseph Conrad. Price: Free. Genre: Sea Adventure, Psychological. Rated: 4 stars on 1136 Reviews. 200 pages. ASIN: B0722LGLJ3. *The Champ And Other Short Stories (Deal, Not Free) by Jonathan Colon. Price: $5.49. Genre: Literary Fiction Deal, Sponsor, Contemporary Fiction. Rated: 5 stars on 1 Reviews. 93 pages. ASIN: B06W568CKD. ***The Prince by Nicolo Machiavelli. Price: Free. Genre: Classics, Coming of Age, Historical. Rated: 4.3 stars on 1,309 Reviews. 116 pages. ASIN: B071RK1T6Q. ***Walden by Henry David Thoreau. Price: Free. Genre: Literary, Classics, Coming of Age. Rated: 4.2 stars on 845 Reviews. 252 pages. ASIN: B071KSB7LQ. *The Summer Diary (Deal, Not Free) by Elyse Douglas. Price: $0.99. Genre: Women’s Fiction Deal, Sponsor. Rated: 4.3 stars on 24 Reviews. 287 pages. ASIN: B00XCD9ZW6. *Crescent City Blues: Life & Love in the NOLA by Nicole Dior. Price: Free. Genre: African American Women’s Fiction, Urban Life. Rated: 4.8 stars on 35 Reviews. 154 pages. ASIN: B01MZCPX73. ***Juvie and Solai by BriAnn Danae. Price: Free. Genre: African American Romance, Urban. Rated: 4.8 stars on 182 Reviews. 216 pages. ASIN: B01KIPC15S. Deal with the Devil (Cacodemon Book 1) by Elaine White. Price: Free. Genre: Gay Fantasy, Romantic, LGBT. Rated: 5 stars on 4 Reviews. 179 pages. ASIN: B01MAXGMWF. *Emily Dickinson: The Complete poèms by Emily Dickinson. Price: Free. Genre: Poetry, American, Classics. 250 pages. ASIN: B071HB1W13. *The Tea Cleanse: A Tasty and Easy Method for Healthy Weight Loss (Deal, Not Free) by Ceceli Abernathy. Price: $0.99. Genre: Health & Fitness Book Deal, Sponsor, Healthy Weight Loss, Nonfiction. Rated: 4.8 stars on 7 Reviews. 32 pages. ASIN: B01M2YIFVD. *All American Favorites: 35 Delicious Family Recipes That Will Make You The Star Of The Show by Dan Alatorre, Michele Alatorre. Price: Free. Genre: Cookbooks, Food & Wine, Main Courses & Side Dishes, Burgers & Sandwiches. Rated: 5 stars on 14 Reviews. 110 pages. ASIN: B00XAX5J1O. *Essential Oils: 215 Essential Oil Recipes For The Whole Family by Lily Lorance. Price: Free. Genre: Health, Fitness & Dieting, Alternative Medicine, Aromatherapy. Rated: 5 stars on 4 Reviews. 283 pages. ASIN: B01MQWYLYV. 10 Proven Ways to Unlimited Memory and Accelerated Learning: Just read it and do it! by James Cornwell. Price: Free. Genre: Health, Fitness & Dieting, Psychology & Counseling. Rated: 4.8 stars on 5 Reviews. 31 pages. ASIN: B06ZY3BSYT. Slow Cooker: Savory Cuisine Recipes, Easy-to-Cook, Affordable and For All Occasions by Alithea Rosen. Price: Free. Genre: Cookbooks, Food & Wine, Kitchen Appliances, Slow Cookers. Rated: 4.7 stars on 7 Reviews. 226 pages. ASIN: B07228LK3K. Connection – A Journey Towards Intimacy: A 4 week devotional course with tools to build a strong and connected relationship by Wynand Jacobs . Price: Free. Genre: Health, Fitness & Dieting, Relationships, Love & Romance. Rated: 4.7 stars on 5 Reviews. ASIN: B0713T27QP. Momo Learns To Brush Her Teeth by Nuphar Bar. Price: Free. Genre: Health, Fitness & Dieting, Children’s Health. Rated: 4.6 stars on 7 Reviews. 32 pages. ASIN: B00BAI4I3Q. MINDFULNESS: The Rudiments of Mindfulness: A Personal Experience by Olivier Gill. Price: Free. Genre: Health, Fitness & Dieting, Alternative Medicine, Meditation. Rated: 4.6 stars on 5 Reviews. 25 pages. ASIN: B0713M94NX. Ketogenic Diet Cookbook: 50 Keto Diet Recipes For Quick Weight Loss And Healthy Living by Elizabeth Wells. Price: Free. Genre: Cookbooks, Food & Wine, Special Diet, Low Carbohydrate. Rated: 4.5 stars on 6 Reviews. 96 pages. ASIN: B071DKSDTC. Photographic Memory: 10 steps to get perfect memory by Mike Bray. Price: Free. Genre: Health, Fitness & Dieting, Psychology & Counseling, Developmental Psychology. Rated: 4.4 stars on 9 Reviews. 60 pages. ASIN: B06ZYSQW6H. Empath: Empowering empaths, healing, sensitive emotions, energy & relationships by Melissa Anna Holloway. Price: Free. Genre: Health, Fitness & Dieting, Alternative Medicine, Energy Healing. Rated: 4.3 stars on 7 Reviews. 64 pages. ASIN: B0718WD946. Whole 30 Diet: Find out your vitality with this ultimate clean-eating program and unleash your energy (whole 30 cookbook) by Kirsten Yang. Price: Free. Genre: Cookbooks, Food & Wine, Special Diet, Low Fat. Rated: 4.1 stars on 6 Reviews. 84 pages. ASIN: B06ZZ7MVYY. *Ghost: The Rick Watkinson Story: A True Story of Love, Betrayal and Murder (Deal, Not Free) by Trish Faber, John Coventry. Price: $4.99. Genre: Nonfiction Book Deal, Sponsor, True Crime. Rated: 5 stars on 2 Reviews. 120 pages. ASIN: B01MR24LH1. *Street Gangs and God – The Battle in the Streets by Deacon Arnaldo A. Santos. Price: Free. Genre: Biographies & Memoirs, True Crime, Organized Crime, Criminology. Rated: 5 stars on 15 Reviews. 157 pages. ASIN: B01NANRJ1P. *TigerFish: A Memoir of a South Vietnamese Colonel’s Daughter and her coming of age in America by Hoang Chi Truong. Price: Free. Genre: Biographies & Memoirs. Rated: 5 stars on 5 Reviews. 247 pages. ASIN: B071YMS2GS. A Short History of the United States for School Use by Edward Channing. Price: Free. Genre: History, Americas, United States. Rated: 4.5 stars on 4 Reviews. 472 pages. ASIN: B00AQN1RMQ. A Dish of Orts : Chiefly Papers on the Imagination, and on Shakespeare by George MacDonald. Price: Free. Genre: History. Rated: 4.4 stars on 4 Reviews. 197 pages. ASIN: B0082UIFXO. King Philip Makers of History by John S. C. (John Stevens Cabot) Abbott. Price: Free. Genre: Biographies & Memoirs, Ethnic & National, Native American, History. Rated: 4.4 stars on 4 Reviews. 195 pages. ASIN: B004TQ5S3A. *Shame-Proof Parenting: Find your unique parenting voice, feel empowered, and raise whole, healthy children (Deal, Not Free) by Mercedes Samudio. Price: $0.99. Genre: Nonfiction Deal, Sponsor, Parenting & Relationship, Raise Healthy Children. Rated: 5 stars on 22 Reviews. 191 pages. ASIN: B071D4YXMT. *BE, DO and HAVE ANYTHING YOU WANT: A proven guide for creating your future self by Muzire Mbuende. Price: Free. Genre: Self-Help, Motivational. Rated: 5 stars on 9 Reviews. 106 pages. ASIN: B0716B661G. *Across The Plane: Tom Carpenter’s Journey (Deal, Not Free) by Jake Pixley. Price: $0.99. Genre: Nonfiction Deal, Sponsor, Soulmates Lost Across the Astral Plane. Rated: 5 stars on 1 Reviews. 90 pages. ASIN: B06Y59GFF5. *Living Past Being a Victim (Deal, Not Free) by Danielle Gallant Simms. Price: $0.99. Genre: Nonfiction Deal, Sponsor, Dysfunctional Relationships, Letting Go. Rated: 5 stars on 2 Reviews. 138 pages. ASIN: B01FIWI1FA. *Disney on a Shoestring Budget (Deal, Not Free) by Levon Miles. Price: $3.99. Genre: Nonfiction Book Deal, Sponsor, Frugality, Money & Finances. Rated: 5 stars on 1 Reviews. 86 pages. ASIN: B06XD9TDWT. *Fintech in a Flash: Financial Technology Made Easy (Deal, Not Free) by Agustin Rubini. Price: $0.99. Genre: Nonfiction Book Deal, Sponsor, System Analysis & Design, Financial Technology, Online Banking, Business & Money. Rated: 4.7 stars on 7 Reviews. 262 pages. ASIN: B06Y1N5476. *How to Conquer Your Fears and Live an UNSTOPPABLE LIFE of Victory (Deal, Not Free) by Kristi Patrice Carter J.D.. Price: $0.99. Genre: Nonfiction Book Deal, Sponsor, Self Help, Conquer Your Fears. Rated: 5 stars on 2 Reviews. 100 pages. ASIN: B071YLP7Z3. **Runaway Inequality: An Activist’s Guide to Economic Justice (Deal, Not Free) by Les Leopold. Price: $4.99. Genre: Nonfiction Deal, Sponsor, Finance, Economic Inequality, Business & Money. Rated: 4.8 stars on 48 Reviews. 322 pages. ASIN: B016E6FS46. ISBN: 0692436308. *Islam Culture: A Guide For Non-Muslims (Islam, Muslim, Middle east, Arab, Western Culture, refugee,) by Rene De Sonce. Price: Free. Genre: Nonfiction, Sponsor, Religion & Spirituality, Islam Culture, Social Etiquette. Rated: 5 stars on 1 Reviews. 93 pages. ASIN: B06Y5T39MK. Visualization: How to Use Visualization to Achieve Your Fitness Goals by Alex A. Michaels. Price: Free. Genre: Self-Help, Personal Transformation, Success. Rated: 4.8 stars on 9 Reviews. 60 pages. ASIN: B071D2C6ND. Empath : How to Thrive in Life as a Highly Sensitive – The Ultimate Guide to Understanding and Embracing Your Gift (Empath Series Book 1) by Ryan James. Price: Free. Genre: Self-Help, Spiritual. Rated: 4.4 stars on 5 Reviews. 122 pages. ASIN: B072HF6HPX. Empath: Empowering empaths, healing, sensitive emotions, energy & relationships by Melissa Anna Holloway. Price: Free. Genre: Self-Help, Motivational. Rated: 4.3 stars on 7 Reviews. 64 pages. ASIN: B0718WD946. *How To Waste Money Self Publishing (Deal, Not Free) by Bob Kern. Price: $0.99. Genre: How to Publish Effectively Book Deal, Sponsor, Business & Money, Entrepreneurship, How to Spend Money Wisely for Authors. Rated: 5 stars on 1 Reviews. 56 pages. ASIN: B01MS903RJ. *Our Whole Life Is Our Whole Responsibility (Deal, Not Free) by Michael G. Kamau. Price: $7.55. Genre: How to Live Great Book Deal, Sponsor, Self Improvement, How To. Rated: 5 stars on 1 Reviews. 228 pages. ASIN: B06XPM4Y66. It has a good Paperback Deal! Also get it on Lulu. *Survival Guide: 4 Manuscripts – Indoor Gardening, Living Off The Grid, Prepping, Tiny Houses (Survival Skills Book 1) by Emerson Woods. Price: Free. Genre: Reference, Survival & Emergency Preparedness. Rated: 4.7 stars on 10 Reviews. 176 pages. ASIN: B06W5XGNKY. The Magnificent Cat by Sharon Thompson. Price: Free. Genre: Crafts, Hobbies & Home, Pets & Animal Care. Rated: 4.8 stars on 4 Reviews. 38 pages. ASIN: B0128RR5KA. *I GET YOU: How communication can change your destination (Deal, Not Free) by Warren Tate. Price: $0.99. Genre: Business & Money Book Deal, Sponsor, Excellent Book Communication, Marketing, Telemarketing, Real Estate. Rated: 5 stars on 15 Reviews. 117 pages. ASIN: B071DJ38TR. *Learn HANA in 1 Day: Definitive Guide to Learn SAP HANA for Beginners by Krishna Rungta. Price: Free. Genre: Business & Money, Management & Leadership, Production & Operations, Computers & Technology, Computer Science. Rated: 5 stars on 5 Reviews. 274 pages. ASIN: B01MYRU4TJ. *597 Business Ideas You can Start from Home – doing what you LOVE! (Beginner Internet Marketing Series Book 6) by Gundi Gabrielle. Price: Free. Genre: Business & Money, Small Business & Entrepreneurship, Home Based, Women & Business. Rated: 5 stars on 5 Reviews. 113 pages. ASIN: B071DCXL6C. *Why You’re Broke: Your Get Rich Guide To Personal Budgeting, Being Debt Free & Frugal L, Economicsiving How Your Mind Is Making You Rich Not Your Money by Seth Cohen. Price: Free. Genre: Business & Money, Personal Finance, Budgeting & Money Management. Rated: 5 stars on 4 Reviews. 49 pages. ASIN: B00TSXT0F6. *Business Plan Writing Guide: How To Write Successful & Sustainable Business Plans (Business Plan Writing Guides Book 1) by Stephen Wilcox. Price: Free. Genre: Business & Money, Management & Leadership, Systems & Planning. Rated: 5 stars on 4 Reviews. 20 pages. ASIN: B00S7768BI. *The Mindful Entrepreneur: How to rapidly grow your business while staying sane, focused and fulfilled b Joel Gerschman, Howard Finger, Aryeh Goldman. Price: Free. Genre: Business & Money, Management & Leadership, Systems & Planning. Rated: 4.9 stars on 41 Reviews. 264 pages. ASIN: B071YLTF9V. *You Started a Blog – Now What….? : 6 Steps to Growing an Audience, Writing Viral Blog Posts & Monetizing your Blog (Beginner Internet Marketing Series Book 2) by Gundi Gabrielle. Price: Free. Genre: Business & Money, Small Business & Entrepreneurship, Home Based, Computers & Technology, Web Development & Design, Web Design. Rated: 4.7 stars on 14 Reviews. 101 pages. ASIN: B01MYG74B6. *Python: Python Programming For Beginners Guide To Learn Python, Python Language And Python Coding by Josh Thompsons. Price: Free. Genre: Computers & Technology, Programming Languages, Python. Rated: 4.7 stars on 13 Reviews. 130 pages. ASIN: B071XTTRY9. *Tor and The Dark Net: Remain Anonymous Online and Evade NSA Spying (Tor, Dark Net, Anonymous Online, NSA Spying) by James Smith. Price: Free. Genre: Computers & Technology, Internet & Social Media. Rated: 4.1 stars on 52 Reviews. 115 pages. ASIN: B01D1SF82W. How To Make Money Online: How To Create Multiple Streams Of Income (Multiple Income Streams Series Book 1) by J.P. The Digital Income Advisor. Price: Free. Genre: Business & Money, Small Business & Entrepreneurship. Rated: 4.5 stars on 8 Reviews. 13 pages. ASIN: B06ZYZSRFD. Python: A Complete Step By Step Beginners Guide To Programming With python by Leonard Eddison. Price: Free. Genre: Computers & Technology, Programming, Introductory & Beginning. Rated: 4.4 stars on 5 Reviews. 56 pages. ASIN: B071V4SK1W. INTERVIEW QUESTIONS AND ANSWERS: Get the Professional Career of your DREAMS by acing those all-important interviews! (“lifestyle, professional, career, interview, health, social, entrepreneur) by F.R. Lifestyle. Price: Free. Genre: Business & Money, Job Hunting & Careers, Interviewing. Rated: 4 stars on 19 Reviews. 27 pages. ASIN: B00TQXBUN8. ***The Earl’s New Identity (The Regency Renegades Series 1 – Beauty and Titles) (Deal, Not Free) by Jasmine Ashford. Cost: $0.99. Genre: Christian Historical Romance Deal, Sponsor, Regency Historical Romance. Rated: 4.5 stars on 122 Reviews. 120 pages. ASIN: B06ZY2KKKJ. *A Beat in Time (Deal, Not Free) by Sandrine Gasq-Dion. Cost: $0.99. Genre: 18+ Rock Star Romance Deal, Sponsor, 18+ Firefighter Romance. Rated: 4.5 stars on 22 Reviews. 165 pages. ASIN: B018MJ0V3G. *Granite Alley by Elliot Essman. Cost: Free. Genre: YA Contemporary Romance, Sponsor, Coming of Age. Rated: 5 stars on 4 Reviews. 156 pages. ASIN: B01N6U2EUP. *Hologram: The Provocation of Detective Brooks (Deal, Not Free) by Nancy Miller. Cost: $0.99. Genre: Adult Mystery Deal, Sponsor, Murder. Rated: 4.4 stars on 6 Reviews. 295 pages. ASIN: B013HHGP88. *Plain Crazy (Deal, Not Free) by Dani Jo Love. Cost: $0.99. Genre: Adult Romance Deal, Sponsor, Contemporary Romance. Rated: 4.7 stars on 9 Reviews. 227 pages. ASIN: B06XCK4KBL. *With Ties That Bind: A Broken Bonds Novel, Book One (Deal, Not Free) by Trisha Wolfe. Cost: $0.99. Genre: Adult Romance Deal, Sponsor, Dark Romance. Rated: 4.7 stars on 31 Reviews. 160 pages. ASIN: B01C9JT2H6. *Shame-Proof Parenting: Find your unique parenting voice, feel empowered, and raise whole, healthy children (Deal, Not Free) by Mercedes Samudio. Cost: $0.99. Genre: Nonfiction Deal, Sponsor, Parenting & Relationship, Raise Healthy Children. Rated: 5 stars on 22 Reviews. 191 pages. ASIN: B071D4YXMT. *Across The Plane: Tom Carpenter’s Journey (Deal, Not Free) by Jake Pixley. Cost: $0.99. Genre: Nonfiction Deal, Sponsor, Soulmates Lost Across the Astral Plane. Rated: 5 stars on 1 Reviews. 90 pages. ASIN: B06Y59GFF5. *Magic Reborn: The Peacesmith Series: Book1, A New Adult Urban Fantasy Novel (Deal, Not Free) by Carly Hansen. Cost: $0.99. Genre: Fantasy Deal, Sponsor, Fairy Tales, Mythology, Myths & Legend. Rated: 4.4 stars on 18 Reviews. 284 pages. ASIN: B01MUFIW3F. *(Free For Kindle Unlimited) The hound of Christopher (Deal, Not Free) by Roland Odinkemelu. Cost: $7.99. Genre: Assassination Thriller Deal, Sponsor, Murder, Crime Thriller, Conspiracy, Organized Crime. Rated: 5 stars 1 Reviews. 336 pages. ASIN: B06X6M5PD1. **Shopping for a CEO’s Wife (Shopping for a Billionaire Book 12) (Deal, Not Free) by Julia Kent. Cost: $3.99. Genre: Contemporary Romance Deal, Sponsor, NY Times Bestselling Author, Romantic Comedy. Rated: 4.8 stars on 69 Reviews. 284 pages. ASIN: B01NH9LRL4. NY Times & USA Today Bestselling Author Julia Kent. *Disney on a Shoestring Budget (Deal, Not Free) by Levon Miles. Cost: $3.99. Genre: Nonfiction Book Deal, Sponsor, Frugality, Money & Finances. Rated: 5 stars on 1 Reviews. 86 pages. ASIN: B06XD9TDWT. *Ghost: The Rick Watkinson Story: A True Story of Love, Betrayal and Murder (Deal, Not Free) by Trish Faber, John Coventry. Cost: $4.99. Genre: Nonfiction Book Deal, Sponsor, True Crime. Rated: 5 stars on 2 Reviews. 120 pages. ASIN: B01MR24LH1. *Never Is A Very Long Time: A Romantic Comedy With Attitude (The Perfect Date Book 1) (Deal, Not Free) by Donna McDonald. Cost: $2.99. Genre: Contemporary Romance Deal, Sponsor, Inspirational Romance. Rated: 4.9 stars 26 Reviews. 171 pages. ASIN: B06Y16CN4B. *(Free For Kindle Unlimited) Stretch Limo Confessions: Let’s Get This Party Started (Book 1) (Deal, Not Free) by Mike Jacobs. Cost: $2.99. Genre: 18+ Romance Book Deal, Sponsor, Adult Content. Rated: 4 stars on 8 Reviews. 130 pages. ASIN: B01MRZIZW2. *Crafting the Sun (Deal, Not Free) by Sophia J. H. Teh. Cost: $2.99. Genre: Science Fiction Deal, Sponsor, Brilliant Roboticist Crafting the Perfect Robot Son, 2291. Rated: 4.6 stars on 6 Reviews. 916 pages. ASIN: B01H1QH652. *Secrets of Artemis: A Teen Goddess Novel (Teen Goddesses Book 1) (Deal, Not Free) by C.K. Brooke. Cost: $0.99. Genre: YA Fantasy Deal, Sponsor, Greek & Roman, Myths & Legends, Fantasy Fairy Tales. Rated: 4.6 stars on 13 Reviews. 206 pages. ASIN: B017BZXTKY. *Skylar Robbins: The Mystery of the Missing Heiress (Skylar Robbins mysteries) (Volume 3) (Deal, Not Free) by Carrie Cross. Cost: $11.99. Genre: YA Book Deal, Sponsor, Middle Grade. Rated: 4.6 stars 3 Reviews. 110 pages. ASIN: 0989414345. *Decimation: The Girl Who Survived (Deal, Not Free) by Richard T. Burke. Cost: $0.99. Genre: Medical Thriller Deal, Sponsor, SciFi Thriller. Rated: 4.6 stars on 24 Reviews. 296 pages. ASIN: B06XKTGS5N. *I GET YOU: How communication can change your destination (Deal, Not Free) by Warren Tate. Cost: $0.99. Genre: Business & Money Book Deal, Sponsor, Excellent Book Communication, Marketing, Telemarketing, Real Estate. Rated: 5 stars on 15 Reviews. 117 pages. ASIN: B071DJ38TR. *Shadowlith (Umbral Blade Book 1) (Deal, Not Free) by Stuart Thaman. Cost: $0.99. Genre: Epic Fantasy Deal, Sponsor, Coming of Age, Sword & Sorcery. Rated: 5 stars on 1 Reviews. 284 pages. ASIN: B071XXKWNJ. **Cold Trap (Deal, Not Free) by Jon Waskan. Cost: $0.99. Genre: Science Fiction Deal, Sponsor, Space Exploration. Rated: 4.5 stars on 57 Reviews. 353 pages. ASIN: B00LETVKWS. 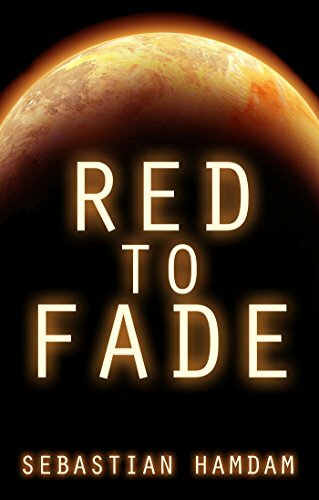 If you like Space movies, you’ll love this book. *Fledgling: Book 1 (Afterlife) (Deal, Not Free) by Katrina Cope. Cost: $0.99. Genre: YA Thriller Deal, Sponsor, Suspense Thriller. Rated: 4.3 stars on 39 Reviews. 318 pages. ASIN: B00XEPYDRY. *The Summer Diary (Deal, Not Free) by Elyse Douglas. Cost: $0.99. Genre: Women’s Fiction Deal, Sponsor, Romance. Rated: 4.3 stars on 24 Reviews. 287 pages. ASIN: B00XCD9ZW6. *Fintech in a Flash: Financial Technology Made Easy (Deal, Not Free) by Agustin Rubini. Cost: $0.99. Genre: Nonfiction Book Deal, Sponsor, System Analysis & Design, Financial Technology, Online Banking, Business & Money. Rated: 4.7 stars on 7 Reviews. 262 pages. ASIN: B06Y1N5476. *How to Conquer Your Fears and Live an UNSTOPPABLE LIFE of Victory (Deal, Not Free) by Kristi Patrice Carter J.D.. Cost: $0.99. Genre: Nonfiction Book Deal, Sponsor, Self Help, Conquer Your Fears. Rated: 5 stars on 2 Reviews. 100 pages. ASIN: B071YLP7Z3. **Runaway Inequality: An Activist’s Guide to Economic Justice (Deal, Not Free) by Les Leopold. Cost: $4.99. Genre: Nonfiction Deal, Sponsor, Finance, Economic Inequality, Business & Money. Rated: 4.8 stars on 48 Reviews. 322 pages. ASIN: B016E6FS46. ISBN: 0692436308. *The Tea Cleanse: A Tasty and Easy Method for Healthy Weight Loss (Deal, Not Free) by Ceceli Abernathy. Cost: $0.99. Genre: Health & Fitness Book Deal, Sponsor, Healthy Weight Loss, Nonfiction. Rated: 4.8 stars on 7 Reviews. 32 pages. ASIN: B01M2YIFVD. *Superbeetle (Deal, Not Free) by S. Michele Chen. Cost: $0.99. Genre: Children’s Book Deal, Sponsor, Superbeetle. Rated: 5 stars on 1 Reviews. 58 pages. ASIN: B01MUOLVE4.